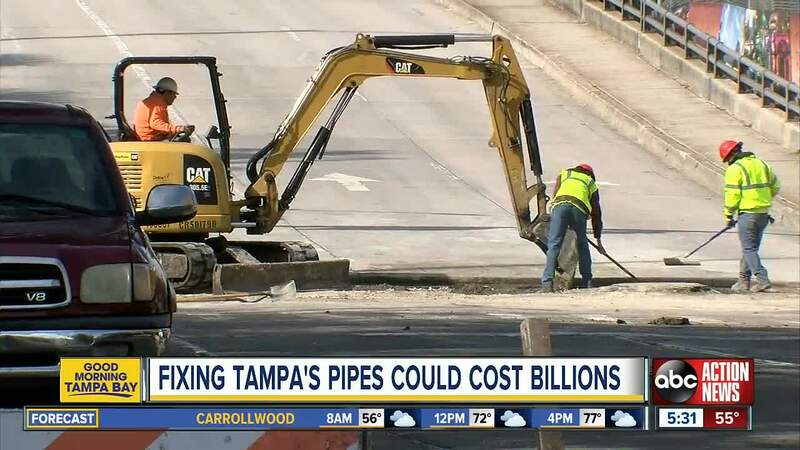 City leaders say it could take more than $3 billion over the next twenty years to replace the pipes, pumps and update wastewater facilities in Tampa. 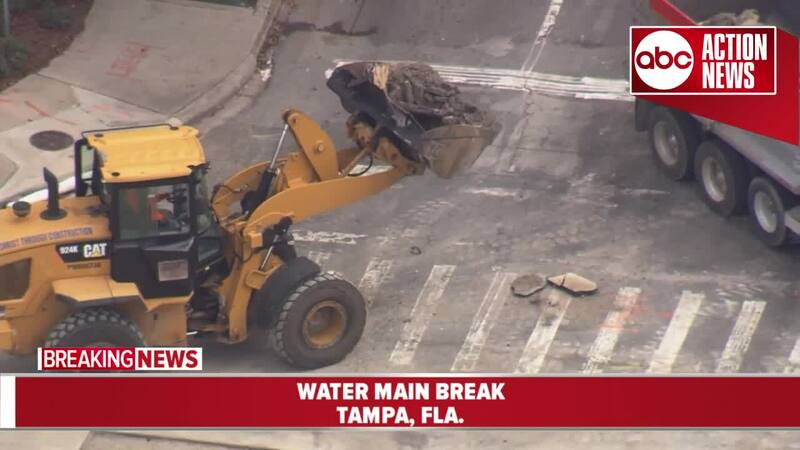 TAMPA, Fla. — The intersection of East Brorein Street and South Ashley Drive between South Tampa and South Parker streets was closed Thursday as crews with the Tampa Water Department worked to repair a water main break. 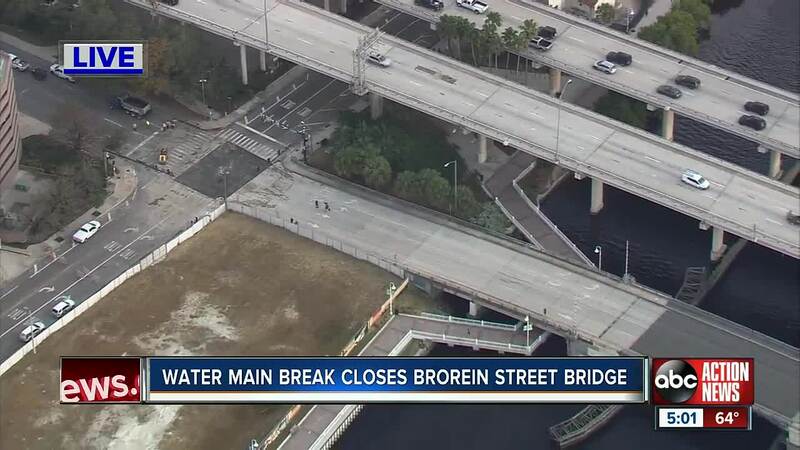 The Tampa Police Department tweeted that the water main break had also caused the closure of Brorein St. Bridge. #TRAFFIC Brorein St. Bridge is closed for an indefinite period of time. Please use Cass Street or Kennedy Boulevard to travel west of the river. Roadway restoration and normal traffic patters should be completed by Monday, February 4 at 5 p.m.
One Riverview driver says it took her longer than an hour to get into Tampa. “This is the most important issue facing the city right now,” said City Council member Harry Cohen. A massive water main break on North Rome Avenue, caused by a screw tightened too tight 65 years ago, cracked the pipe over time sending water spewing into homes. The City says these breaks will only get worse because some cast iron pipes are 80 years old. “It is going to take a mammoth effort to get this done and start getting on top of it,” said Brad Baird, Tampa Public Works and Utilities. Drivers are urged to use caution when driving in the area, barricades and signs have been placed to assist with traffic flow. Crews say modifications to lane closures may be necessary during the course of restoration. in the entire State of Florida,” said Baird. City leaders say it could take more than $3 billion over the next twenty years to replace the pipes, pumps and update wastewater facilities. Even ignoring the problem will cost taxpayers millions. TAMPA TRAFFIC ALERT | The intersection of E. Brorein & S. Ashley is closed because of a water main break. Expected to fully reopen MONDAY. Use Cass of Kennedy. @CityofTampa says officers are directing traffic. Large convention adding to congestion.